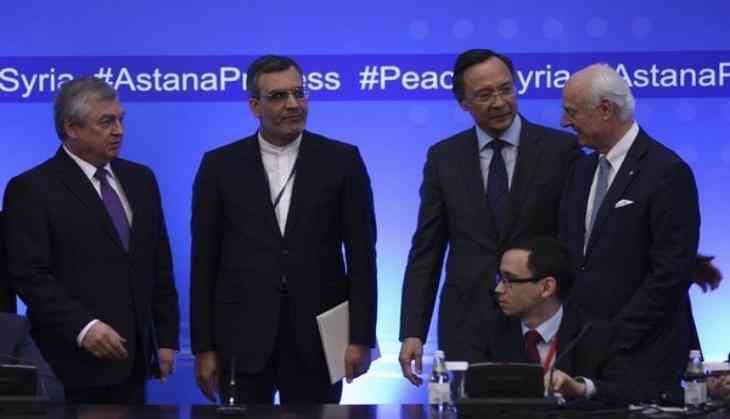 Kazakhstan, after hosting the fourth international high-level meeting on settlement in Syria, is now getting ready for the next round of Syria talks scheduled to be held in mid-July. Pointing out that the previous rounds of talks ended with agreement on de-escalation zones, Kazakhstan Foreign Minister Kairat Abdrakhmanov said that the country would work actively with the guarantor countries, Russia, Turkey and Iran, to implement the Astana process memorandum signed in May. "This schedule is observed. We are actively preparing for the next round to make sure that we can make a specific contribution to the implementation of the above-mentioned memorandum, which envisages the establishment of four de-escalation zones in Syria and further consolidation and expansion of the ceasefire and the cessation of hostilities in Syria," Tass news agency quoted Abdrakhmanov as saying. Another expert-level meeting on Syria is scheduled to take place in the Turkish capital of Ankara prior to Astana.